The Office of Faculty Development and Advancement would like to welcome our faculty back to Florida State University! This semester, we have welcomed two new undergraduate interns to our office, seniors Fabiana Ferrante and Emily Campana, accompanied by our returning intern, junior Zoe Zirlin. Their goal for this year is simple: use multimedia platforms to inform, update and unite Florida State Faculty! 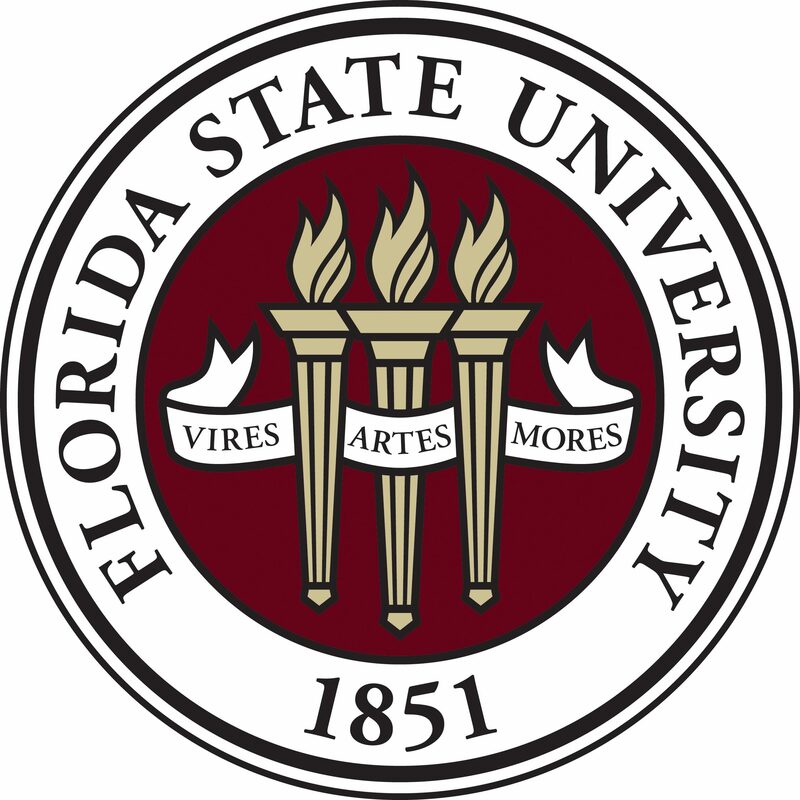 Because FSU is an expansive research university that employs hundreds of influential leaders in the academic world, we believe that it is imperative for professors to have Faculty Development and Advancement updates at their fingertips, (more specifically, in their twitter feeds!) Those employed by Florida State can find information regarding faculty luncheons, writing workshops, research opportunities, award deadlines, and achievement recognition… all in one scroll. Follow us on Facebook and Twitter! Hi! My name is Zoe Zirlin, and I am a junior pursuing a double major in Advertising and Editing, Writing and Media. I am thrilled to return to the Office of Faculty Development and Advancement this semester. Last year , I enjoyed shaping our office’s media platforms into a more engaging, influential and informative stream of information. We also created videos highlighting faculty achievement, published a weekly blog about award and research opportunities, and interviewed staff from varying colleges about their pedagogical methodologies and published works. By collecting and analyzing data about our platform reach from the start of the year to the end, we found the best ways to connect with faculty utilizing a multimedia approach. Working in this office has taught me more than just the differences between assistant and associate professor; I learned how to work in a team, meet professional deadlines, and I developed a deeper love for my campus. This year, Emily, Fabiana and I are excited to embark on new projects, connect with a larger amount of faculty, and learn more about how our professors make Florida State the welcoming (and 26th best public!) university it is today. Hello! My name is Emily Campana and I am a senior here at Florida State University majoring in Editing, Writing and Media. I was born and raised in Palm Beach County and graduated from Florida Atlantic University High School. I found my love of working with social media while interning for YouTube and Vine star Cody Johns. I’ve always loved social media and the platform it provides, and working for a specific client was a whole new experience. I learned how to manage multiple social media platforms with hundreds of thousands of followers based on Cody’s needs by promoting different applications he was working with and keeping his followers updated on what was happening. I also write for HerCampus, an online magazine aimed at college women, and participate in PeaceJam Southeast as a mentor. Hi! My name is Fabiana Ferrante, I’m 22 years old and I was born and raised in Caracas, Venezuela. I completed my freshman year of college back in Venezuela where I studied Social Communication at the Monteávila University. However, because of the crisis that the country was and still is going through, I decided to move to the Republic of Pan ama. I then continued my studies at Florida State University Republic of Panama campus with a major in Media/Communication Studies. Now, as a senior, I have moved (once again!) to Tallahassee, Florida to complete my undergraduate studies here in the United States. For the past 4 years, I have not only moved from one to place to another, but I have also had the chance to grow as a professional by working in an American worldwide consumer products company such as Colgate-Palmolive, non-profit organizations like the Panamanian Red Cross and RET International, among other institutions. Nowadays, as this new adventure of being one of the Social Media interns in the Office of Faculty Development and Advancement begins, I plan to introduce more visual elements into the office by developing video interviews and general videos, as well as more photography that show the great work that FSU faculty members do every day.